BERLIN – Facebook users nowadays see more posts from friends and family, and less content from brands. However, there is a lot brands can do to still engage with their German audience. Verena Simons, our head of brand marketing here at FSG, tells you what to do when engagement goes down. ‘Early 2018, Facebook made a major change – they started showing users more posts from family and friends, and less from brands and businesses. ‘We got feedback from our community that content from businesses is crowding out the personal moments’, wrote Facebook’s Mark Zuckerberg. In other words: content from Facebook friends is seen as more relevant then content from businesses. Here’s what happened after the new Facebook rule got introduced: For the clients that we represent at FSG, we saw a decline in Facebook reach – the number of people we reach with every Facebook post – of 70 percent compared to a year earlier. Engagement and sessions went down so drastically, that we decided to invest in Facebook by creating different kind of content. Why invest in a social network that is making it harder for brands to reach out to their fanbase? The answer to that is that Facebook still is the best organic (meaning non paid) network to get people to go to a brand’s website. That’s where Facebook works completely different from networks like Instagram. Our numbers show us that users are less likely to click on an ad while using Instagram, compared to when they are using Facebook. On top of that it is obvious that every company present on Facebook had to deal with the same drop in reach. In other words: there’s a massive opportunity to stand out. In order to reach out to the right people with the right message, you first need to decide what your target audience looks like. Preferably, you also need to have an idea on how your target audience thinks. In order to get an idea of what is of interest to them, check your FAQ’s and see what questions and facts are important to them. With this information you can start creating interesting content that will make your audience interact with you or with each other. We find ‘being relevant’ of utmost importance. That’s why we made sure that the customer service representatives who talk to customers on the phone and via live chat, are also responsible for the social engagement with our fanbase on Facebook. Every person wants to be heard, wants to feel understood and – yes – needed. With making your fans part of your brand, you will make them feel all of the above. You can do this by asking them questions. What is their opinion on the new product? Do they like the ingredients? Why would they (not) buy it? Replying to written comments will show your target audience that they are being heard, and that you take them and their comments seriously. For some of the brands we represent here at FSG, we built closed Facebook communities in which we invite and communicate with a group of 100 fans of the brand. We started inviting them for live events in our office, because we value their opinion and we want to feel connected to them. Facebook users love scrolling through pictures, but not every picture sparks joy to them. Post pictures that are different from all the others. Be creative and different, experiment with colors and added quotes to see what works best for your brand. By adding a quote in your picture, Facebook users will stop scrolling through their feed to read it and will hopefully feel tempted to read the comments underneath. It’s very important to show different kinds of content on your Facebook wall. The Facebook algorithm is clever and as soon as it realizes you’re posting the same stuff all the time, your reach will drop and engagement will go down, too. Try making short videos, preferably without talking too long. It’s important to make your fans feel special. You can do this by letting them take part in surveys, organizing photo competitions or little puzzles, or giving away small items. Think about something you know your fans will be interested in. Take the opportunity to gather information about your fan base when organizing raffles or surveys. Add a nice giveaway. You will have one of the best performing posts of the month. These adjustments together made the difference for us; we made engagement on Facebook go back up again. And that’s exactly what we wanted because that’s what Facebook is for – it’s not directly a tool to increase sales, but to brands in Germany Facebook still is one of the best tools to generate traffic to your website. The 2.2 billion Facebook users (worldwide) spend an average of 20 minutes per visit on the social network. This time can be of great value to your brand. 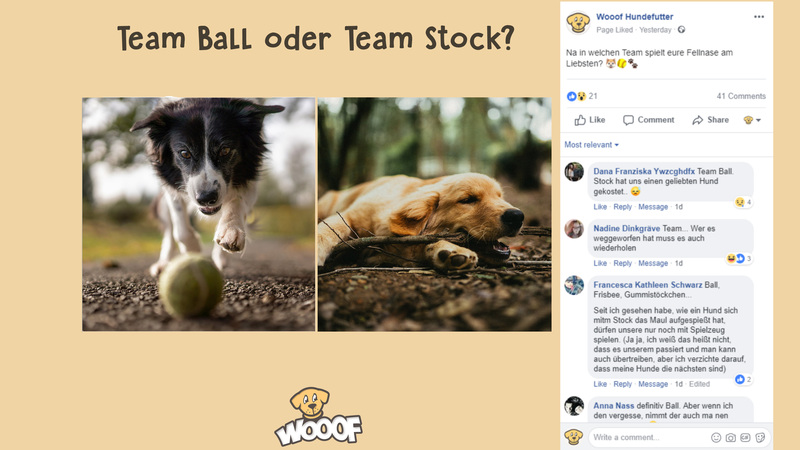 There’s another reason why we believe a brand should definitely be present on Facebook in Germany: Facebook made it pretty easy for customers to actually contact a brand. Most of the time, contacting a brand on Facebook is easier than contacting a brand on one’s website. This makes Facebook suit the needs of German customers, who – let’s face it – really love giving feedback. You know what most Germans like even more than giving feedback? Reading reviews. When German consumers want to explore and try out new products and brands, they visit social media to read reviews. 2018 was a turbulent year for Facebook. Years of privacy missteps came out and founder Mark Zuckerberg had to testify in American Congress. The public mood regarding Facebook did shift because of this, and a number of prominent Facebook users closed their account as a statement. Facebook’s founder Mark Zuckerberg however, according to Bloomberg Billionairs Index, still holds a net worth of 46 billion euros. Wil je weten wat Fingerspitzengefühl voor je bedrijf kan betekenen? Lees hier meer of neem contact met ons op.